At the end of August, the day before Ukraine celebrated 25 years of independence, Anton Belinskiy’s squad walked down the long hall of the Palace of Sports in Kiev. Dressed in the designer’s Spring/Summer 2017 collection, they were a vision of urban romanticism: scarlet red velvet combined with pristine white New Balance sneakers and sport socks, voluminous trench coats, oversized shirts and elements of workwear and lamé gold, chains hanging from their waists and large gold earrings spangled with rubies. The frills and folds on the garments echo the white ruched curtains draping large windows, the common trope of post-Soviet institutional elegance. Modelled by guys and girls you would probably see dancing at raves and working at local bars, Belinskiy’s clothes radiate youthful energy. 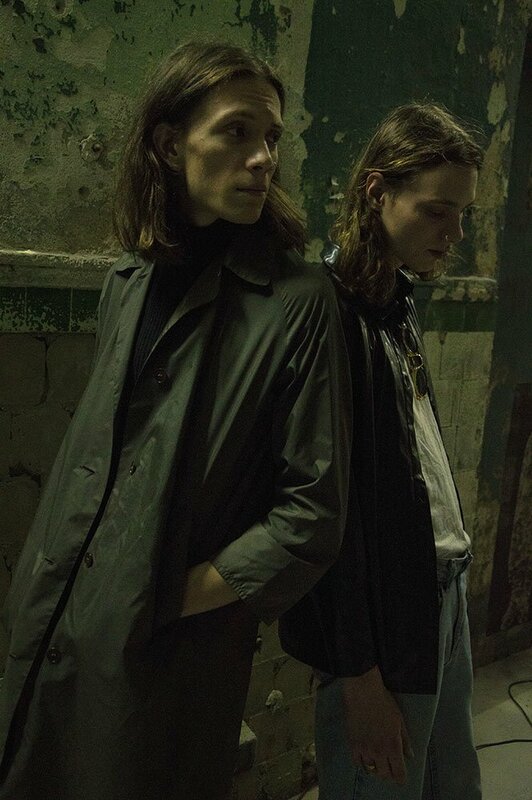 It’s something Raf Simons perhaps could have channelled a couple of decades ago, but it’s coming not from Antwerp but from today’s Kiev, the capital of a country that's only 25 years old. One of the most distinguished details in Belinskiy’s new collection are roses: large prints on white shirts and knitwear, small embroidery in yellow over black. There is something irresistibly romantic about these images, the intimate quality of a keepsake transformed into a contemporary outfit. It started, Belinskiy remembers, from hundreds of vintage postcards with roses. By using roses Belinskiy taps into a visually rich cultural symbol that exists in vintage cards, street signs and the dozens of 24-hour flower shops that glow softly in the night. But at the same time he is shaping the new look of youth: authentic, fresh and irresistibly romantic. “The whole collection started from the idea of the prom, not just the traditional idea of the party but more the concept of graduation, departure, entering a new phase of personal history,” Belinskiy remembers. It’s not only about the universal idea of transition, but also about emerging Ukrainian identity: white t-shirts and sweatshirts feature prints of ID photos paired with a scan of the cover of a Ukrainian passport. “A passport is a very symbolic thing. You get it at 16 and you stay attached to it until the end of your life. You go through your whole life with this piece of paper, including the key stages, good stories and bad. The passport here is symbolic of entering a new life,” Belinskiy says. Two years after the revolution that shook the streets of Kiev in 2014, Anton Belinskiy represents the search for new imagery and the growing self-awareness of a new generation of Ukrainians. At 28, he’s been running his brand for five years — exactly the time it took the fashion industry to go from a cautious curiosity about post-Soviet aesthetics to full-blown obsession with it. 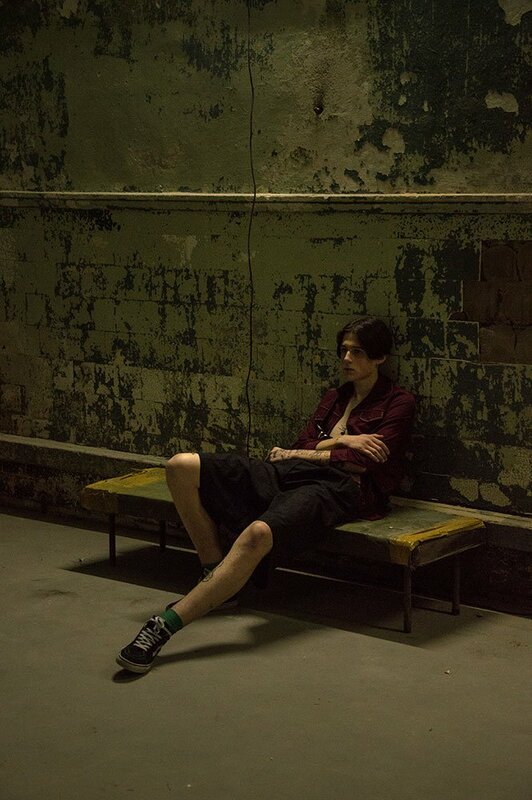 The search for a new otherness fuelled the post-Soviet myth: brutal charm of tower blocks and concrete, skinny boys with buzz cuts shot against the iconography of a fallen empire. The image is sincere, but ironically, just like the cultural politics of the Soviet Union, brutally homogenising. 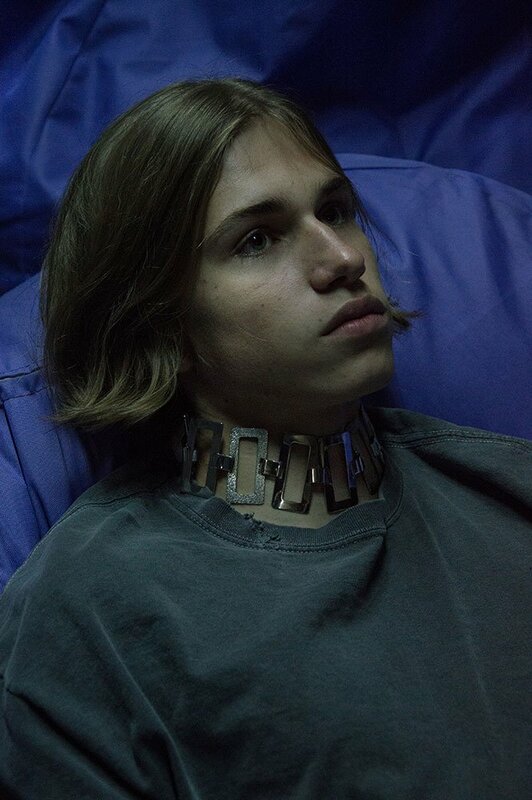 For Anton Belinskiy and the new generation of Ukrainians this aesthetics corresponds neither to the way they feel nor the way they want to be seen. They are seeking to create a new cultural framework, and their vision of youth certainly echoes Belinskiy’s roses and passport photos. In May 2016 Ukrainian singer LUNA dropped her first album, Magnets, to the joy of over 30,000 followers online. Performing under this alias, Kiev-based Kristina Bardash composes tender songs channeling the sincerity and nativity of 1990s and early 2000s pop. Paired with the DIY aesthetics of her visual presentation, they are a perfect soundtrack to a youthful longing, a nostalgia for something which you actually do not remember.